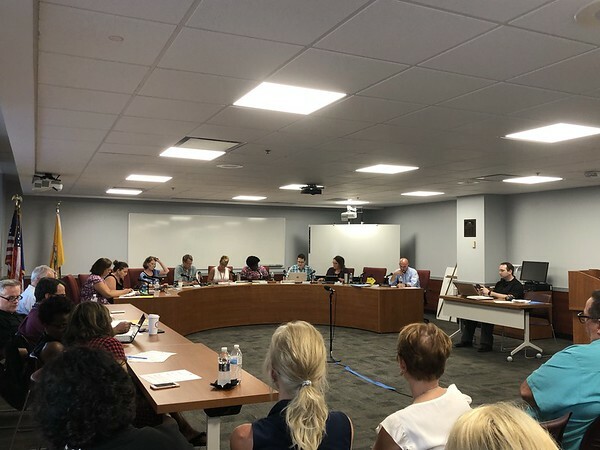 NEW BRITAIN –– During a Board of Education meeting Tuesday, Schools Superintendent Nancy Sarra gave an update about how the first few days of the 2018-2019 school year went across the city. Students in the city returned to school Thursday, Aug. 30 with two half days to kick off the year. As far as bus scheduling went, Sarra said drop-off in the morning went well but there were some problems in the afternoon. Buses were 15 minutes late leaving New Britain High School, causing a domino effect at subsequent schools. About 25 buses were impacted because of the delay, causing students to arrive at their homes up to an hour late. This is the first year the school district is using First Student Inc. for transportation. Dattco had provided the school district with bus service since 1971, but First Student came in with a lower offer when the district went out to bid. Sarra also gave a list of “hot spots” in the district – a list of classes that have larger class sizes than preferred. All three of Jefferson Elementary School’s kindergarten classes have more than 30 students. Additionally, there is a teaching vacancy at Lincoln Elementary School for grade 2. Finally, a health class at Pulaski Middle School is also oversized. Through either teacher transfers or other moves, Sarra said the school district was working to reduce class sizes in these hot spots. Posted in New Britain Herald, New Britain on Tuesday, 4 September 2018 20:41. Updated: Tuesday, 4 September 2018 20:43.